While the writing biz has kept me unusually busy of late, a rather eclectic bunch of stuff -- all somehow germane to SF and Nonsense -- has been catching my eye. A few highlights from among those are the basis of today's post. 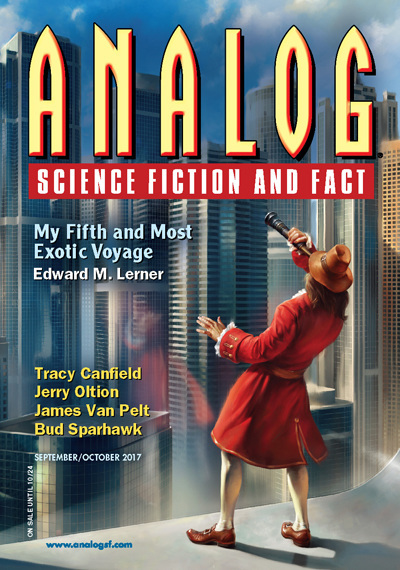 My writing appears often in Analog magazine: in fiction, science articles, and even guest editorials. Because my preferred sub-genre is (I hate the term, but love the concept) hard SF, Analog is my favorite among the zines. And so, I was happy to make this discovery -- Analog now has an active FB presence. Admittedly, the upcoming item wasn't an especially recent encounter -- but the topic remains as timely as when I bookmarked the related article in December. As clever and useful as I find blockchain technology (in essence, a robust and distributed form of computerized record-keeping), I remain more than a little skeptical about using that tech to underpin a non-governmental currency. Bitcoin, of course, is the poster child for blockchain-based "currency" (aka, cryptocurrency). This three-month-old article remains one of the best pieces I've found on the topic: "Five myths about bitcoin: No, the currency isn’t beyond the reach of the law, and it won’t replace cash." So what else is timely(er) and eclectic? 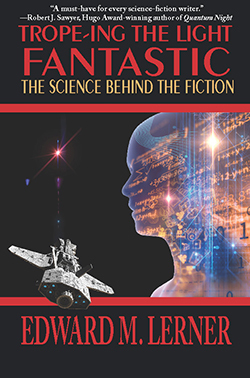 In my most recent post, "Trope-ing closer to release :-), I reported that I'd received -- and would disappear for awhile into a close reading of -- copy edits of Trope-ing the Light Fantastic (subtitled, The Science Behind the Fiction). I've reemerged -- after a weekend and a day of reading and commenting -- from that task. So exciting! Which is not to say you can yet rush out to order a copy. (I wish.) But we are closer. Yay, team! Part of the time I was involved in that, my first and favorite reader, aka my wife, Ruth, was reading the completed first draft of my next novel: Deja Doomed. Ruth had, as always, many helpful suggestions. Soon I'll turn to incorporating those into an updated draft. In other writing news, I learned that Analog is accepting Clockwork Cataclysm, my latest short story. No word yet as to its pub date. And speaking of appearances in Analog, in 2017 the 'zine published a novelette and two short stories of mine. I was tickled to learn that the novelette and one of the shorts are finalists in the zine's reader poll for last year. 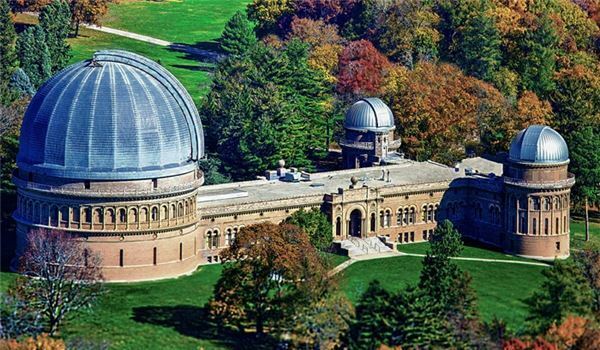 (Here's the announcement in Locus: "2017 Analog AnLab Awards Finalists.") On the Analog website, you can read many of the finalists, my stories included. Woohoo! 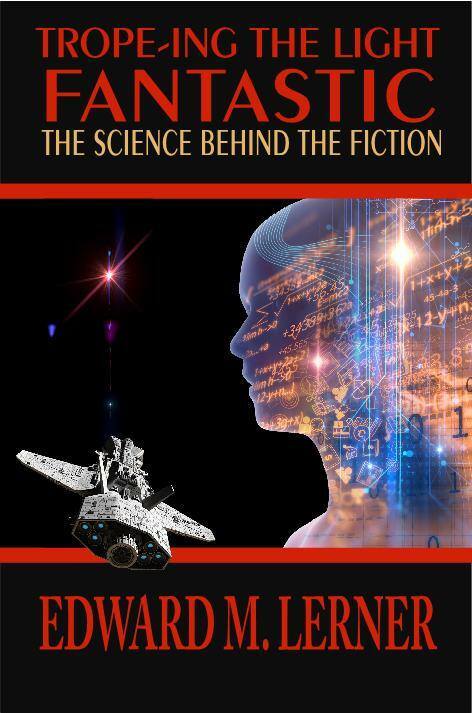 I just received copy edits for Trope-ing the Light Fantastic: The Science Behind the Fiction. But today's incoming also means that I've got ~100K words to give a close, final read-through -- ASAP. Hence: you've just seen about all I expect to get posted this week. For the back story of Trope-ing, check out the ironically titled "From mighty oak trees, little acorns grow."